Mmmmm, you smell that? That’s the warm, comforting smell of a new year. It’s a brand new year, so why not bring in the first new POW, Pick Of the Week Podcast? This new POW is for the week of December 29, 2010! The first podcast of the year is about the last week of last year! What a conundrum! 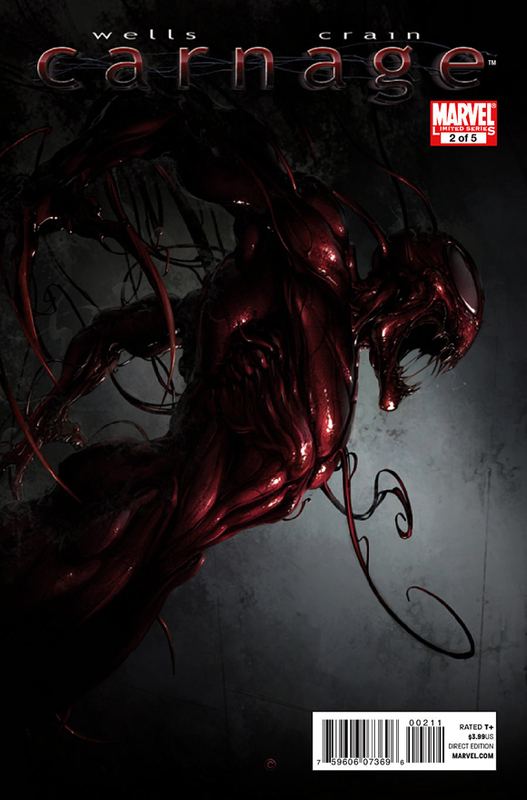 Ian has the pick this week, and he has chosen (much to the chagrin of the haters of all things 90’s: Simon and Sheldon) Carnage #2! With him this time around are Ken and Simon, but sadly Sheldon couldn’t make it because he was busy breaking the law! Thanks to their friend Sam who was the Comic Impact chauffeur for the night, Ken, Simon and Ian polished of a case of beer which made this podcast extra…special. Also talked about this week are Daken: Dark Wolverine, S.H.I.E.L.D., Detective Comics, Batman: The Dark Knight, Astonishing X-Men: Xenogenesis, Astonishing Spider-Man and Wolverine, Avengers and Captain America.